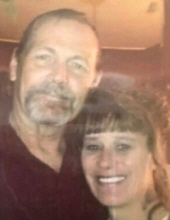 Gottschalk, Randall Lee - Age 63, of Burton, died January 15, 2019. No public services will be held at this time. Arrangements provided by Sharp Funeral Homes & Cremation Center 6063 Fenton Rd. Flint. Randall was born May 5, 1955 the son of Charles and Lura (Smithers) Gottschalk. He married Wendy Greeling on July 18, 2007. Randall is survived by his wife: Wendy; children: Jeremy (Glenda) Jackson, JR. Gottschalk, Trevor Gottschalk, Aaron Gottschalk; step-children: Jordan Rodgers, Jason Rodgers; grandchildren: Brooklyn, Brayden, Jeremy II, Lacie, Mercedes, April, Paige, Angel, Kendallen, Trevor, Kennedy, Jaxson; sister: Gloria (Chet) Ptasnik. He was preceded in death by his daughter: Miranda Lee Gottschalk; grandchild: Brecken Gottschalk; and parents. Tributes may be shared on the obituaries page of www.sharpfuneralhomes.com. To send flowers or a remembrance gift to the family of Randall Lee Gottschalk, please visit our Tribute Store. "Email Address" would like to share the life celebration of Randall Lee Gottschalk. Click on the "link" to go to share a favorite memory or leave a condolence message for the family.